A page on TigerLocal will showcase your business to hundreds of local people looking for a business in West Sussex. So you'll get serious enquiries from new customers. 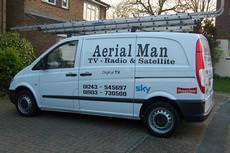 Aerial man covers west sussex from Havant to Shoreham and up to Billingshurst. 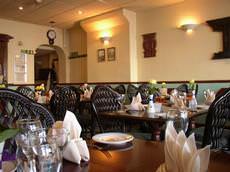 We are a family run business and provide a friendly and reliable service. 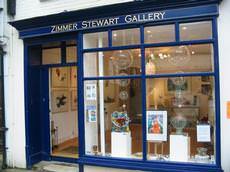 Zimmer Stewart Gallery exhibits contemporary art by both local and international artists (paintings, prints, sculpture and ceramics). 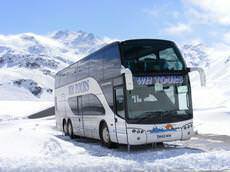 1st 4 Coaches are the "one stop shop" for all your transport and travel requirements. 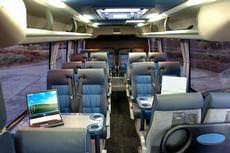 As a national booking agent we have access to many thousands of vehicles across both coach and bus operators. 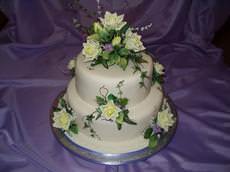 You will want your wedding or special occasion to be one to remember and I can help towards that with a hand crafted wedding cake or a very special celebration cake with that little extra something. At Mad Hatters we are the fancy dress experts. Our range of award winning costumes is second to none. With over 3000 costumes sourced both nationally and internationally, we really do give our customers a huge choice. 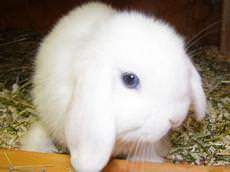 We are a Family run Pet Shop specialising in rabbits, which are either bred by ourselves or from local breeders. All our bunnies come with a birth certificate and Starter pack. 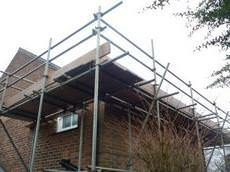 Sussex Scaffolding has a reputation for fast, reliable and professional service, working in and around Bognor Regis, Chichester, Portsmouth and Worthing from our Littlehampton office. Using seasonal and locally sourced flowers whenever possible, Earth Seed to Bloom provide flowers for weddings, funerals, birthdays and also for corporate events. Soft toys, helium balloons and greetings cards are also available. Outside Cowfold in the heart of West Sussex is Camelia Botnar Homes & Gardens - a garden centre with a difference. 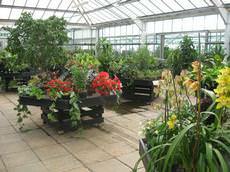 We are a large nursery with an extensive range of competitively priced plants, trees, hedging and shrubs. 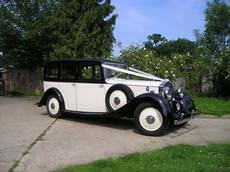 Bow Field Hire, established in 1991, specialise in the provision of vintage, classic & modern transport for weddings, school proms and all social events. County Tree Surgeons Ltd is a highly experienced firm of Tree Care Specialists based in Crawley in West Sussex. 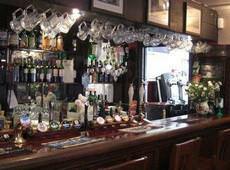 We have been established for over twenty years. For fast, local and reliable skip hire in Crawley, look no further than Crawley Skips! Crawley Skips have been providing an affordable and reliable skip hire service to Crawley and its surrounding regions for more than 20 years. 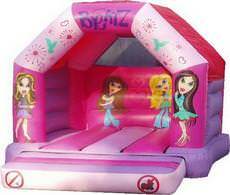 Melandis bouncy castle hire in Crawley, West Sussex. 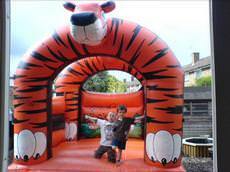 We have themed children's castles including a Tiger castle that the kids go wild for and a Balloon castle that provides hours of bouncy fun! 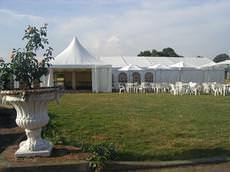 We are a professional company with the personal touch, starting out in 1995 with a single coach and steadily growing over the years. We now have a fleet of executive coaches ranging from 22 to 75 seats. Our proactive and friendly team has over 20 years industry experience and is dedicated to bringing a fresh and enthusiastic approach to buying and selling property in East Grinstead and the surrounding area. Tracey has many years experience treating a wide range of infant and childhood conditions and her special interest is treating babies, especially babies who have had a difficult or traumatic birth. 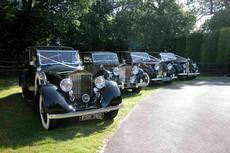 Our fleet of Vintage Rolls Royce date back to 1930s delivering exceptional style and comfort. All our cars have large "walk-in" interiors and are wide enough for the fullest wedding dress. Here at Jumping Jacks we pride ourselves on a friendly, reliable service. From small family parties right up to large corporate events, we cover all aspects of fun and entertainment! 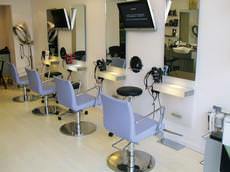 BRIDE is a contemporary bridal boutique situated in the quaint village of Hassocks just three miles out of Brighton. We stock a huge range of desirable wedding dresses with prices to suit every budget. Situated at the foot of the South Downs, in a position which has just been named an area of outstanding natural beauty, this 16th century built inn is a beauty spot in it's own right and looks much the same as it was in 1591. 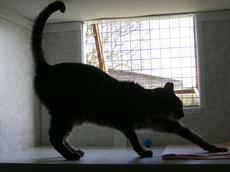 All our feline guests at Becks Boarding Cattery are looked after by the owner who has a Btec National Certificate in Animal Care. 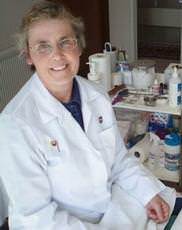 Prior to running the cattery she has also had eleven years practical experience as a veterinary nurse. 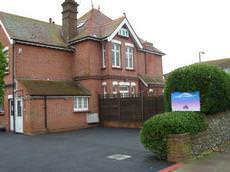 At The Hayling Clinic we strive to get to know our patients personally. We endeavour to take the time to listen and understand what you would like to achieve in terms of better health and well being. 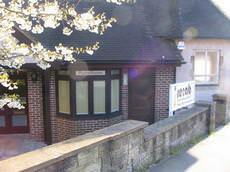 re:ab is a modern fully equipped private physiotherapy clinic and Pilates Studio in Haywards Heath, West Sussex. We have been designing and constructing conservatories within the mid Sussex area since 1990, using the Ultraframe roof system. 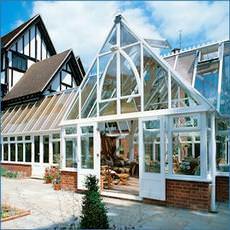 Window Wise supply and install quality, bespoke conservatories in both PVCu and hardwood. 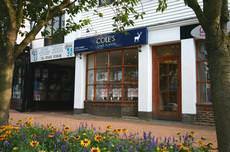 Welcome to Woodland Chiropractic located at The Vinings Natural Health Centre, Haywards Heath, West Sussex. Helping to improve and maintain your quality of life. Water-Works is a leader in the plumbing industry by providing consumer's with FREE ACCESS to our online FAST ESTIMATE services. Established in 1991 and family owned, AToM provides a comprehensive mortgage service arranging all types of mortgages for all types of people. The Bartholomew Way Physiotherapy Clinic is located within the Bartholomew Way Clinic, a multi-disciplinary practice, situated in the Holbrook area of Horsham. Financial Management is a wholly independent firm, offering only Independent Financial Advice, directly authorised and regulated by the Financial Services Authority (FSA). 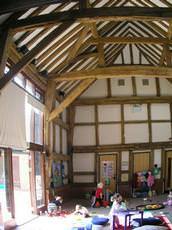 We are a large school of 400+ pupils which has the advantage of having been established for 26 years. Our experienced teachers teach for enjoyment and to professional standards. Great Driver is committed to providing a high standard of driver education, in line with the Driving Standards Agency's aim of 'safe driving for life'. 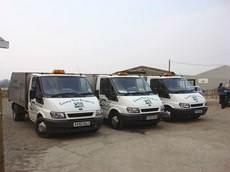 Horsham skips have been providing an affordable reliable skip hire to Horsham and its surrounding regions for more than 20 years. 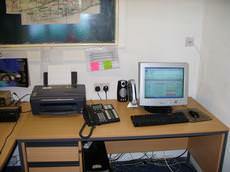 If you need advice on waste disposal we will without obligation discuss your needs. At New View Nursery children can build a tower of sand, create a work of art in play dough, learn songs that will make them laugh, find friends in books and be encouraged to go just as far as their imagination takes them. 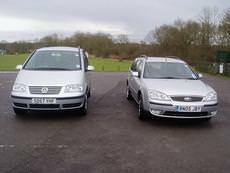 Rudgwick Cars Private Hire & Taxi service was established in 1972 and has been run by Colin Tilley for the last 24 years. The Bartholomew Way Clinic is a multi-disciplinary practice. 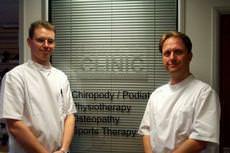 Our team of medical specialists includes chiropodists, podiatrists, physiotherapists and massage practitioners. Mays Aerials is a family run business who are specialist fitters and installers of freeview, freesat, satellite dishes and TV aerial installations, digital, sky multi room and TV wall mounting service. Do you like Ballet? Do you like Listening to the latest Pop Music? Do both at the same time at Pointe Rocks - the newest and hottest dance school in Sussex! Scilla Wilsdon FSSCh. BSc. DipPodMed. 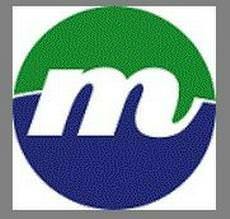 MBChA is a home-visiting chiropodist providing treatment in the Rustington, Littlehampton and West Sussex area. test. We have alot of testing here! At Poppins we aim to be a 'home from home' creating the opportunity for each child to learn through play in a safe and caring environment. 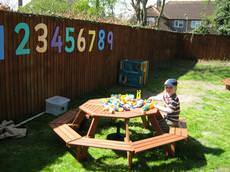 We care for children aged from 6 weeks to 4 years for 50 weeks of the year. Admirable Locksmiths Ltd are 24 Hour Emergency Locksmiths and Security Specialists covering East and West Sussex. We are a Brighton & Hove based company that offers a comprehensive locksmith service for all of your security requirements. We are a highly successful creative and dynamic freestyle dance school offering classes in sussex for all ages and abilities. AA cars are one of the oldest private hire and taxi firms in Worthing and have been established for over 30 years. We have a reputation for reliability, professionalism, and quality service. Ann's school of English specialises in learners of English who are over 30 years of age and do not want to learn English in a classroom environment. Cbabiesafe opened in 2002 with much media intrest for being the first web cam nursery. Children and parents can be sure that their individual needs are met. 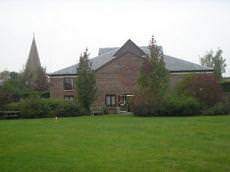 We are a family run building and roofing company with over twenty years of experience. 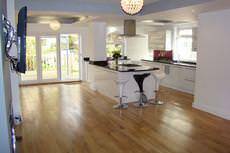 We cover all aspects of building, from domestic to commercial construction. 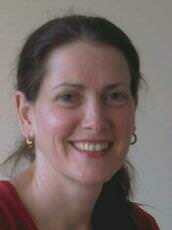 I am an experienced Flamenco, Spanish Classical and Regional Dance teacher, dancer and lecturer. 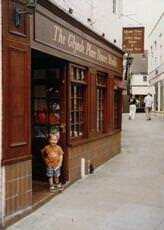 I teach weekly classes and workshops in towns throughout Southern England and teach frequent intensive courses in Spain. 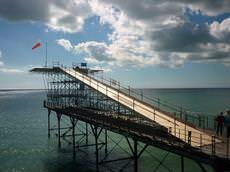 JB Aerials prides itself on a professional and friendly service. 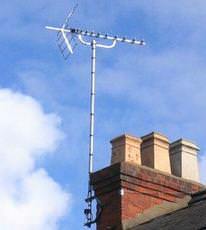 We provide a same day service to rectify your TV aerial or satellite television problems. Little Furlong Kennels & Cattery is handily situated near the junction of the A280 and A27, between Arundel and Worthing, Little Furlong Kennels and Cattery has been established and run as a local family business for 46 years. At last - you've found what you've been looking for - a specialist mortgage broker with access to the whole of the UK market place. 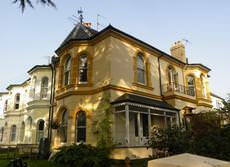 We are able to provide comprehensive mortgage advice, in a professional yet friendly manner. 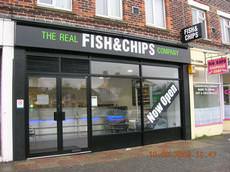 We're the Real Fish & Chips Company, serving the finest fish and chips. Commitment to quality is achieved by buying only the best products available from reputable suppliers. 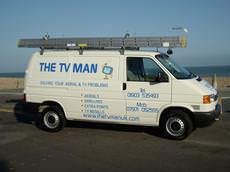 THE TV MAN is based in Worthing and covers East and West Sussex. 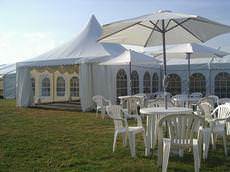 We provide an honest and reliable service with most of our work being generated by personal recommendation. 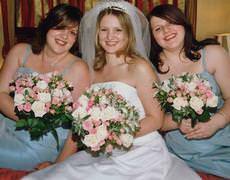 Wallflowers florist is situated in the busy seaside town of Worthing, West Sussex. 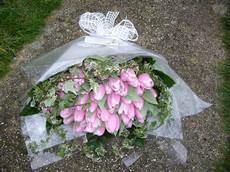 We pride ourselves on offering all our customers a very personal service, from a simple bouquet to the most elaborate of weddings. We offer friendly, patient and encouraging tuition, with courses specifically designed to give you the skills and techniques to not only pass your driving test, but to remain a safe, confident and eco-friendly driver for life.